3 Canadian Artists Celebrate Canada's 150th together on stage! 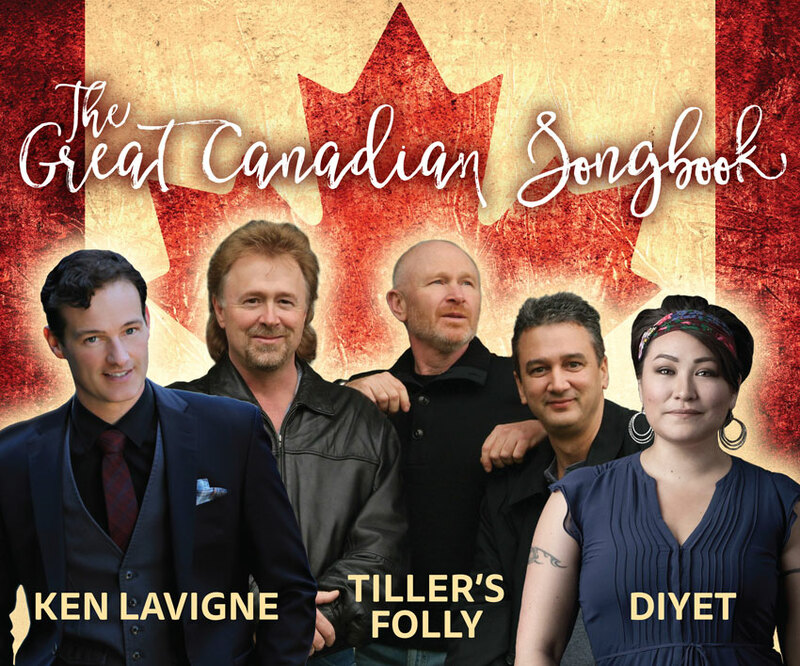 The Great Canadian Songbook is a show that highlights some of the greatest Canadian songs of the past and present taking audiences on a musical journey from Bon Vista to Vancouver Island! 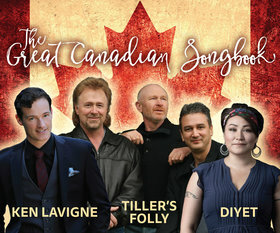 Drawing from a wide array of music and a variety of genres, features performers Ken Lavigne, Tiller’s Folly and Diyet, combine stories, music and projections, to provide the audience a stylistic overview of Canada's greatest hits! Featuring the music by Leonard Cohen, Stan Rogers, Joni Mitchell, Neil Young, Buffy St. Marie, Anne Murray & Stomp'in Tom Connors in addition to contemporary artists including, Bare Naked Ladies, Blue Rodeo and original songs by the Great Canadian SongBook performers. Singer Ken Lavigne is a singer, songwriter, storyteller and consummate entertainer. Recognized early for the outstanding timbre of his lyric tenor voice as well as the ease and agility with which he sings, Ken’s career has taken many artistic directions that includes current touring shows: The Road to Carnegie Hall, with 30 shows each year in North America. Diyet - Born in a tent, raised in a two-room cabin, classically trained in opera, now an alternative folk artist. This Sub-Arctic-Southern Tutchone-Japanese-Tlingit-Scottish-Yukoner is your typical Canadian - the result of a long cold winter. Diyet’s music is like her life - a mix of this and that but deeply rooted in the values of a traditional northern life. Her debut album, The Breaking Point, went on to receive nominations for “Best New Artist” and “Songwriter of the Year” at the Aboriginal People’s Choice Music Awards in 2010 and 2011, “Album of the Year” at the Canadian Aboriginal Music Awards and remained on the Canadian Aboriginal Music Countdown for 24 weeks.